A few weeks ago, my friend Alexander (do you remember him?) invited me to his house. He could not wait to show me the Amiga 600 he had just bought on the cheap at a flea market. Unfortunately, his joy was short-lived: the two joysticks included in the “bundle” were poor quality and as soon as we connected them to the Amiga 600’s ports, we realized they were also in poor conditions. After overcoming his initial disappointment and vigorously throwing both joysticks in the garbage, Alexander asked me if I could recommend him some good controllers as a replacement and -unaware of that – gave me the idea to write this article. Over the years, I reckon I have tried several controllers (a euphemism for hundreds) and I think this is an excellent opportunity to make an Amiga joystick ranking list featuring my top 5 picks. Before starting out, I would like to make clear it deals with 9-pin joysticks. This means that they are compatible with other retro systems, among them the Commodore 64, the Atari, the Amstrad, the Spectrum and the Sega MegaDrive. A rather ambitious slogan to promote what is probably the most famous and recognizable retro joystick ever, as well as a favourite for many. Without a doubt, the Competition Pro is an above average product, which was built with long-lasting materials. Thanks to its different versions (black-based, camouflage, transparent, et cetera…), it quickly became a gaming status symbol (if not a cult object). Why only at number 5? Let us say that – despite using microswitches – I have always found the shaft spring a bit too hard for my taste. In my experience, the Competition Pro is great for 15-20 minute gaming sessions. If you want or need to play more (say you are in a tournament), I suggest that you alternate or use other joysticks. Having to maneuver such a precise yet hard shaft will end up tiring your hand and significantly affect your performance. “The Competition Pro’s first cousin”. This is how we would describe the Zipstick, when someone asked what it was like. Their aesthetic, qualitative similarities are in fact remarkable (the Zip was produced by a Kempston’s subsidiary company, after all), but it is their differences what makes the Zipstick better than its cousin. First of all, the shaft is a lot softer and you are unlikely to experience any wrist pains, even after long gaming sessions. Secondly, I have always clicked better with the Zipstick’s square fire buttons, rather than the Pro’s round ones. Last but not least the former’s buttons use excellent microswitches. As for its cousin’s buttons, every model – except one – uses the so-called leaf switches and quite frankly, the feeling is not the same. Oh, that “one” is the 2000 model, that is, the only Competition Pro whose buttons use microswitches. The result leaves something to be desired though, as the buttons tend to often jam, causing an obvious sense of frustration. The fact that the Zip was released a few years later than the Pro leads me to believe that the former is none other than a revised version of the latter. I have a love-hate relationship with this joystick and somehow I consider it a wasted opportunity. With a little more attention to detail it could have really become the greatest (retro) joystick ever. To begin with, the Tac-2 has no microswitches at all, which shows that they are not essential in order to produce a technically efficient joystick. On the contrary, using cheap, bad quality microswitches strongly affects a controller’s functionality (see Competition Pro 2000). That said and despite the above mentioned lack of microswitches, the Tac-2 shaft boasts an extremely short run and a surprising precision. That metallic-grey 8-way stick with that black plastic ball on top is world-class. Unfortunately – and again, I would say – problems arise when it comes to the fire buttons: they work with brass contact plates which are prone to oxidation, thus needing care more often than not. When the plates begin to oxidise (normally after 6-12 months of use), the buttons immediately become less responsive. Obviously, the joystick can be opened and you can periodically clean the plates with some rust removal products, but that will not help much. The Tac-2 will never be the same and you will have to get used to a different sensitivity. I care to point out that what I described above happened 25-30 years ago, with any brand new Tac-2. I therefore advise against purchasing any second-hand units still circulating (Suncom Technologies shut down decades ago), unless you are able to replace the brass plates. A great, elegant, precise, durable joystick! Simply the best ever produced, among those that do not use microswitches. Unlike the aforementioned joysticks, the Maverick has a large, wide base and – thanks to its suction cups – can easily be placed on a flat surface for easier play. As previously mentioned, the QS-128F has neither microswitches nor plates (luckily); It uses rubber contacts instead and the overall feeling is awesome. The bad news is that such rubber contacts tend to wear out over time. The good one, though, is that any little gamer from the 80s – who went on to become a computer repair technician as an adult – can replace them and make your beloved Maverick work like new again. It is worth mentioning that the QS-128F has a twin brother – named QS-138F – that is fully equipped with microswitches. Unfortunately, it is just another example of low quality microswitches making the shaft imprecise (which is very evident in sports games). PS. Do not use any Maverick models with a Commodore 64 or you will irreparably damage your beloved vintage home computer. There is little information about it, but it looks like the cause should be sought in the different functions performed by Sega consoles’ port pins compared to the C64. Different functions may imply different voltages when giving input to a device and a wrong voltage can cause a machine to stop working for good. Back then, very few people knew that such joystick was originally designed for Sega Platforms and sadly I was not one of them. Had I known that 29 years ago, I would have prevented my schoolmate Simon from plugging his Maverick into his brand new Commodore 64. I discovered this joystick when I was hooked on Swos 96/97 and it was my battle buddy for 8 months, before being replaced by the number one on this list. Mistakenly called Suzo (which is its manufacturer’s name, instead), The Arcade distinguishes itself because of its short, narrow base and its single fire button residing at the front center of the former. It is just its unusual shape that makes The Arcade suitable for fast-paced games, especially the ones where you need to frequently change directions (Swos anyone?). Although the shaft has a reinforced inside made of steel, the overall use of poor quality materials quickly takes its toll on the joystick’s functionality. After 6 months of use, both the microswitch-equipped shaft and the leaf switch-equipped button start to become loose and imprecise. And again, this happened more than 20 years ago, so please do yourselves a favour and avoid buying it second-hand now, it will only give you a headache. Well, you must know that back then the average life span of a joystick was no more than a couple of months (if that). The oftentimes mentioned poor quality materials and the often unprofessional ergonomic design caused gamers to even buy 10 joysticks a year. 1. Long-shaft Albatros* – by Alberici S.p.A.
My 21 year-old long-shaft Albatros. Still looking great! The best of the best, period. An absolute masterpiece of gaming engineering by this Italian company. Obviously, I tried it immediately, but it was NOT love at first sight. On the contrary, I realized that it was a very difficult joystick to master, especially if you were accustomed to “use and break” controllers. Fortunately, Christmas was at the door and I got one from my parents. I needed a two-month “feeling out process” to get familiar with my Albatros, but after that we never separated. It is very simple: the long-shaft Albatros enables you to play to the best of your potential. Incidentally, I think highly of both its short-shaft version and the red-ball handle model, but they are not on the same level as the former (which – for me – borders on perfection). Its precise, soft, sensitive shaft, its responsive buttons and its top quality materials are just some of the features that make the long-shaft Albatros the best Amiga joystick ever released hands down. It goes without saying that such a product could not be cheap: it was expensive at the time (not less than 30-40 dollars, boxed) and costs twice as much today as a second-hand 25-30 year-old joystick, even after being out of production for more than 20 years. But it is more than appropriate to say that an Albatros is for life: I got my first long-shaft model for Christmas ’97 and it is still fully functional. After millions and millions of clicks, its microswitches are still working fine. Absolutely indestructible! Save for sporadic exceptions, * the Albatros is the only joystick I use when playing Amiga and it has been like that for 21 years now. For this reason I sent Alexander on a flea market/online scavenger hunt, but – as I supposed – he had no luck. There are only a few expensive units left for sale and their fortunate owners just hang on to them. Luckily for him, I am one of those fortunate owners, so I decided to halve the previously mentioned flock and lend him indefinitely 2 of the 4 Albatros that I own. In order to thank me, he told me that he was going to train intensively with the intention of trashing me both at Swos and at Speedball (it is all about old scores to settle and old gaming open wounds… 😀 ). I am still waiting for a new gaming invitation, but at this stage I do not know whether I will ever get it… I suspect I gave him false hope about the Albatros. *The joystick is called “Albatros” indeed. No spelling mistakes. Did I miss any? Do you feel there are some high-profile exclusions? Then please let me know in the comments, I will be more than happy to reply. Andrew is the founder and owner of RetroGamingLoft. He considers himself a natural-born gamer and is on a mission to keep our younger gaming years alive through the medium of Retro Stories. His event recount includes hopes, dreams, broken joysticks, magic, nostalgia and another final boss defeated. 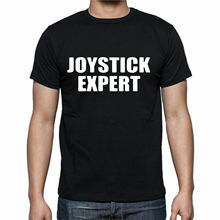 I guess as a gamer you really have to know your joysticks. I’m not a gamer anymore although at one time I was really into it many moons ago. But joysticks have come a long way since those days and I didn’t know much about them until reading your reviews here.I’m impressed because it sure looks like you know your stuff! I was really impressed with your knowledge about the Long Shaft Albatross. It appears to me that is the best choice among those listed.Thank you for a very informative article! Hello Rob, glad you stopped by again and thanks for showing appreciation. You know, I have always been fascinated by joysticks…Back then, I had befriended a guy – who was a few years my senior – who loved to open joysticks to see the way they were connected and worked. Anytime he got a new one, he would call me and say: ” There is a new tangle of wires to tidy: just come over!” We would spend hours analyzing and testing them (he also liked to use joysticks for gaming of course lol) and that is how I learned a few things about them. It is funny because he had a catchphrase that was very similar to your opening sentence. He went: ” You have to know your joysticks, you have to know to know if they are game for gamers!” Fun, instructive, unforgettable times! Keep coming for more Retro articles! As I was reading your article I was wondering how easy it would be to obtain a joystick for a retro gaming system and once I got to the end, I see that for the Albatros at least it is quite difficult. It makes me wonder if my brothers have any old gaming accessories lying around at my parent’s home. I love how old games are being relaunched again! Hello Fiona and thanks for your comment. Seriously, it is in danger, but I have got a mission and I am not going to give up that easily! Unfortunately, an Albatros is hard to find nowadays, but if you are not in a hurry you can keep an eye on Ebay. It may take a while, but sooner or listed it will be listed again. I reckon I have seen 3 Albatros listed this year, the last of which popped up 3 months ago. If you need something now, then go for the Maverick, which is still relatively easy to find and also a lot cheaper. It is not an Albatros, but it is an excellent controller all the same and does not require a long adjustment period. On average, you can get one for 15 dollars, not bad at all. Just make sure you get a Sega Model, that is a 9-pin joystick. A Nintendo model would not be compatible, because of its 7-pin connector. Fun article. I think i prefer the Maverick qs joystick but I was more a 2600 kid growing up in the late 70’s early 80’s. Still nice to see some of the old gear is still working and usable today as it brings back alot of good memories just seeing it. Anyway more topics like these, they are alot of fun to read and interesting to boot. Hello Mike and thanks for your comment, I do appreciate your encouragement! Well, the Maverick is a very good choice, I cannot blame you. There are games where I would indiscriminately use both the Maverick and the Albatros, and I would perform the same way. In addition to that, many people like it because of its large comfortable base and it is definitely another plus. Again, I am very glad you liked my article and I will do my best to keep on delivering. Stay tuned for more Retro posts! I really miss the old arcades with the retro type games. I had an Atari and a Commodore 64 too when I was a kid. I never got to try many joysticks but I do remember having the TAC 2. It was great until the buttons started sticking and driving me nuts. If I ever get another old school console I’m definitely on the look out for the Albatros. Looks like it will be worth the money. I can easily relate to your frustration as for the Tac-2 buttons. Such a problem was really its Achilles’ heel and many have complained about it over time. I will never get tired of saying that this Suncom Technologies’ controller had what it takes to become the greatest joystick ever. That said, if you can get an Albatros, you will never look back! Again, grateful for your comment and I hope you will stay tuned for more Retro Articles! I would have been so dissapointed after buying something that was poor quality. It would definitly be wise to pay a little extra and get a much better quality controller. I used to love going out to the arcades to play video games, that was a long time ago now. I did have an old system with joysticks but that is also in the past now. I will keep this information in mind though as I know a guy who is interested in collecting old gaming systems and I am sure that he would be intersted in the joysticks that go with them. Correct, I could not agree more, it was beyond frustrating at times, hehehe… One day, my friend and me, we even counted how many shafts came off in our hands in one year and the result was hilarious. Those were the days anyway, no matter what. As for your acquaintance, happy to be of service. 🙂 Should he need some additional info, here I am. He can personally drop me a line and I will be happy to help him out. Hello Lynne and thanks for such a lovely comment. As for your question: Save for some awful exceptions not even worth being mentioned., no they are not making these joysticks new to fit the old systems. The joysticks are all retro and – right as you said – you hope to find the good ones. Fortunately there is a growing interest for retro gaming now and my goal with this article is to be as much informative as possible, in order to “steer” my readers toward the right purchase. There are too many lemons out there that are billed as retro gaming gems. I was forgetting, you are very right about the Albatros, if you recall, I mentioned that my friend had turned into a semi-god. Well, months later he confessed he had had an Albatros for nearly a year, hiding it from everybody. He wanted to surprise us all and quite frankly…He did! Now I cannot wait to see how Alexander is coping with it… I got a text from him yesterday and he said it is about time for revenge, lol. I will keep you posted! Thanks again for stopping by, please stay tuned for more Retro articles! Andrew! Great article! I never even knew these were still available! I have an old Amiga tucked away somewhere in a closet, but being as peripherals (hope that’s the right term) were worn out I never tried to replace them. Never had the courage to dump the thing, my kids had many hours of playtime on it. It’s still sitting there, waiting for the day it’ll return to the family room to occupy the pedestal it once held unchallenged. Maybe I need to go search out the replacements, I now know what to look for. Of course the kids have all flown the coop! If you need some additional info, you can drop me a line at anytime, I will be more than happy to reply. Thanks again for stopping by, stay tuned for more Retro Articles! Oh boy this brought back so many memories. As a proud owner of an Amiga 500 I spent countless hours in front of the screen playing games like kick off, batman or shadow of the beast. Amazing computer for it’s time. But I remember very well how easy it was to break the joystick so you had to buy either a durable one or be very careful of it because a lot of games were very much joystick punishers. Nice list you made there, thank you for sharing it. Hello Stratos and thanks for dropping by again. Well, I love the Amiga so any positive adjective about it definitely sits well with me, lol. I absolutely like the definition you gave of some games: “joystick punishers”! I dare add “Only the brave survived”. Again, thank you very much for your comment and keep coming for more Retro articles! Hello Andrew. I must confess this is an awesome post regarding joysticks 🕹️. I’m not really into gaming anymore these days unlike I was in time past. Currently, I just play games when I feel like playing and my favourites are soccer games. You’re very good at joysticks and this post would go a long way in deciding which joystick to go for. Hello Barry, I am glad you liked my article! I love soccer games and in October I published a two-part article about the best retro soccer games. I would love for you to read both Part 1 and Part 2 and leave a comment (if you like). Hello Henry, I am so glad you enjoyed my article! For one thing, one day my my Aunt brought me a new joystick: it was a nice surprise, I did not expect it. She said she had asked the shop assistant for the best joystick for sale. I tried it as soon as she left (I just could not wait) and sadly, it took me 5 minutes to understand it was the best… of the worst! After 30 minutes it was already worn out: the buttons just stuck and anytime you moved the shaft, you could hear creaky noises coming from the inside of the base. Poor Auntie, I have never told her I threw that joystick in the garbage on that very day. Thanks again for your comment, stay tuned for more Retro articles!